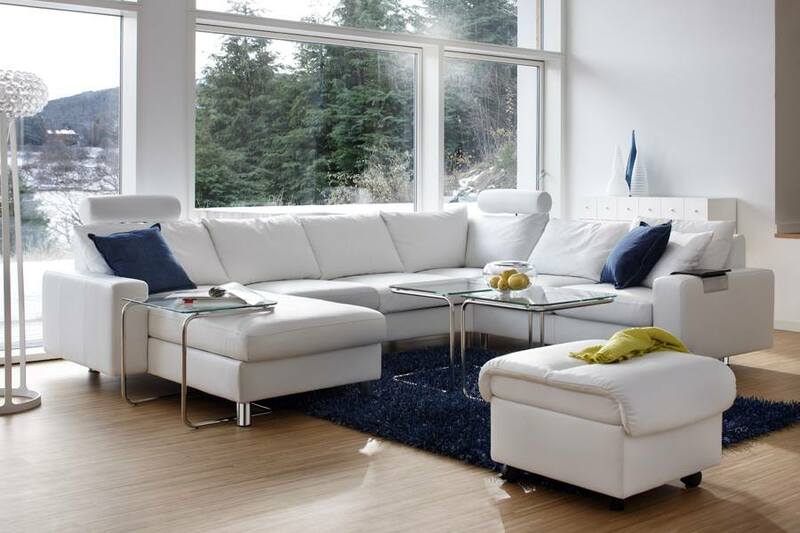 Unbelievably beautiful and more comfortable that you can imagine, the Stressless E200 is simply sublime. In addition to the design and quality that Stressless sofas are famous for, the E200 is equipped with the Stressless patented ErgoAdapt® system. Created by Stressless, ErgoAdapt allows the cushion of the sofa to tilt down automatically the moment you take a seat thereby placing your body in the perfect sitting position. 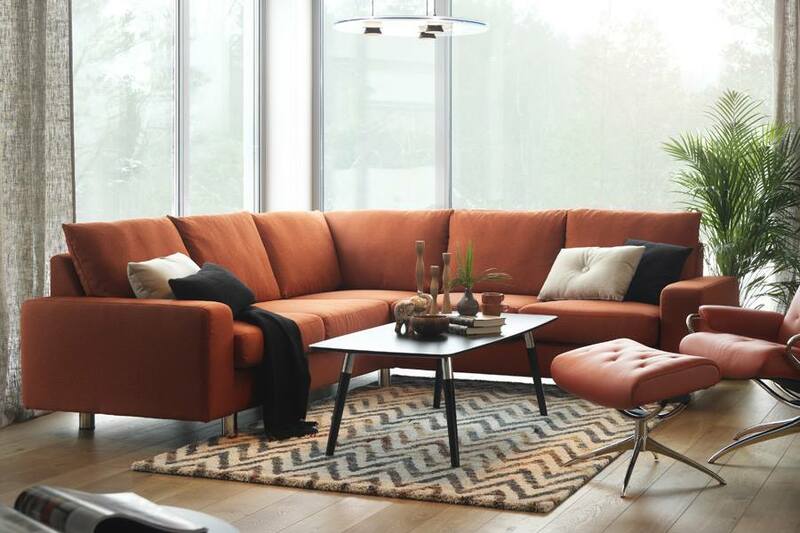 The brilliance of ErgoAdapt is that if you prefer to lie on your sofa, the cushion automatically elevates to a flat position, placing your body in the perfect lying position. Clean lines and classic proportions make the E200 the choice of those desiring very best of contemporary Scandinavian design. 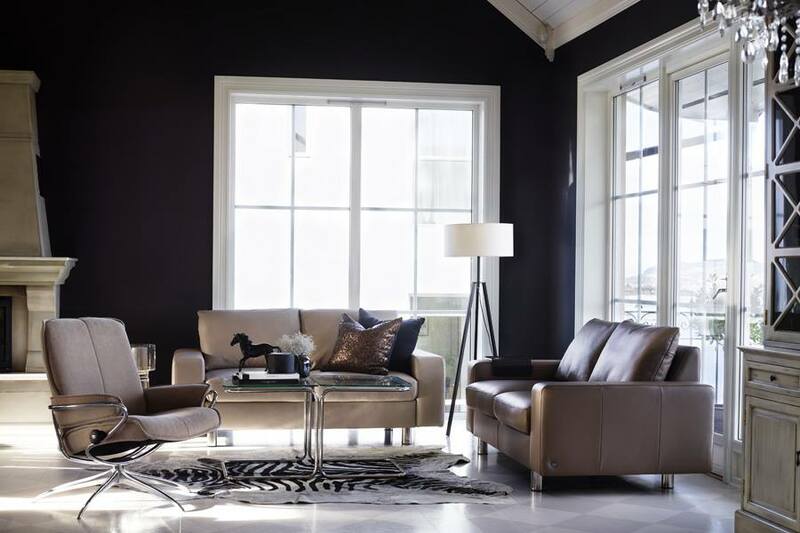 With the Stressless E200 you can choose between different back cushions and from our large range of colours in leather. This item is currently assembled in the U.S. and is available for customized Fast Track shipping in all leather, fabric, wood, and leg combinations.